Nouveau Cheap – has a lot to say about the new Liquid Metal eyeliners from Physicians Formula. Are they for you? Come see! Pink Sith – has a SASSY review of mark. Very Sassy Eau de Parfum! Plus she is giving away three fragrance pencils to one lucky winner. Enter today! Prime Beauty – is in a giving mood this holiday season. Enter to win her first prize, the Limited Edition bareMinerals The Star Treatment Eyeshadow Palette in the Prime Beauty Holiday Gifting Extravaganza! Phyrra – says you must see the Winter Prism eve eyeshadows from the Silk Naturals Holiday 2012 Collection! we heart this – swoons over the most swoon-worthy holiday gift they’ve seen to date; the MAKE UP FOR EVER Ultimate Eye Liner Collection. Beauty Junkies Unite – Pantone just announced the 2013 color of the year—emerald! Check out some of my emerald beauty picks to start the trend early. Clumps of Mascara – is attempting to help keep you ash free this winter by giving away some delightful Eucerin moisturizers. 5 lucky folx will win! EauMG – Oxblood, leather, peplum, winter white…Victoria is pairing Fall/Winter 2012 fashion trends with perfume! 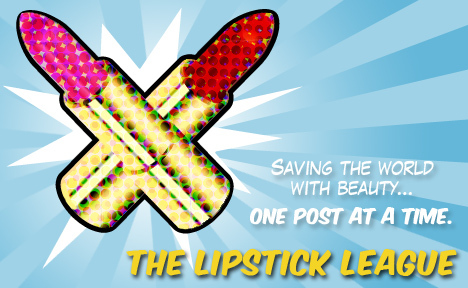 Gouldylox Reviews – Tired of the holiday glitter, but want a bright, beautiful look? Check out this FOTD from Three Custom Color and Le Metier de Beaute. Guest Post of the Week, as chosen by Nouveau Cheap – I’ve been stalking Honor’s blog for a few months now and I can’t get enough. Home Heart Craft is chock full of thrifty but adorable DIY projects for the home, as well as “get the look” DIY fashion projects that you can do in minutes and require no heavy machinery (yay!). My favorite: these DIY adorable headbands that will have you eyeing every cute ribbon you see this holiday season in a whole different light.